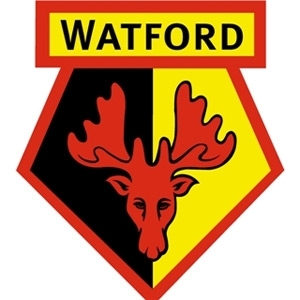 Watford’s red, yellow and black colour scheme is one of the most rich and distinctive in English football. 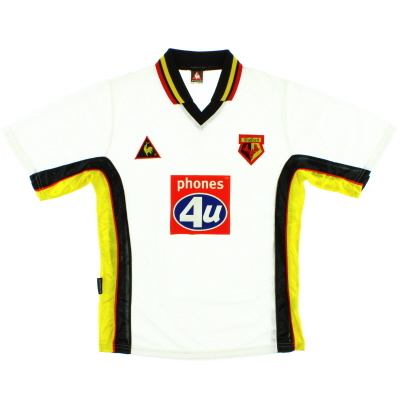 But what may be less apparent is that many of the side’s away strip choices (especially in the 1970s and 80s) are immersed in Watford history and tradition, with the white and blue change outfits all influenced by home colour schemes the club have worn and then discarded over the years.The club’s first ever kit on their foundation in 1898 was a refreshing combination of red, green and yellow stripes paired with black shorts and socks. 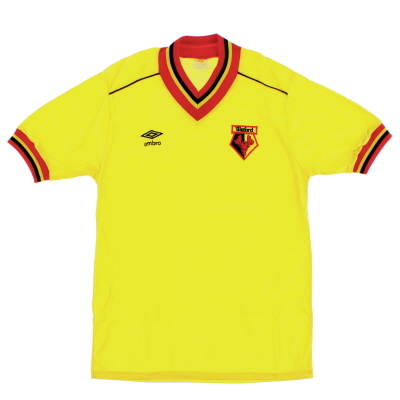 From 1903 to 1909 the colours were arranged as hoops before simple white shirts and black shorts were introduced. Black and white stripes were favoured from 1914 to 1923 before blue shirts and white shorts started to be worn in 1927.In 1959 the club’s kit was completely overhauled with a view to inspiring and lifting the team and a new gold and black strip was launched. 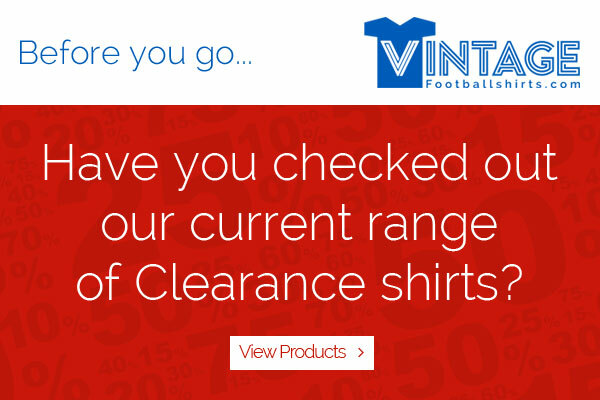 It seemed to do the trick as the next season the side achieved promotion to the old Division 3. 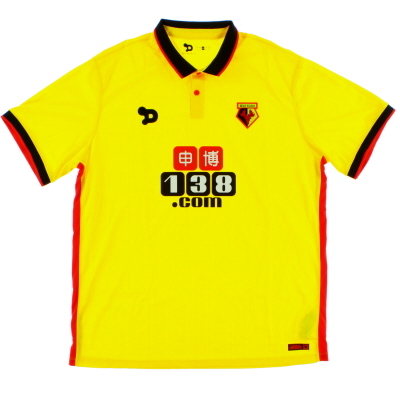 The gold shirts morphed into yellow in the mid-1970s and, partnered with red and black, has remained at the essence of Watford’s kit ever since. 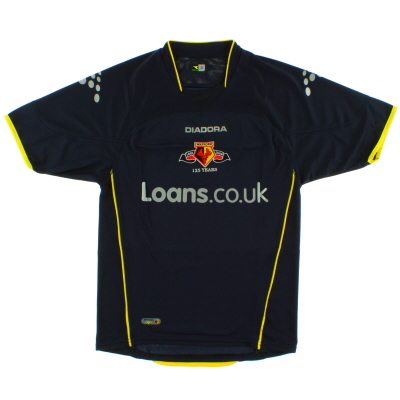 The yellow shirts are accompanied by either red or black shorts with black possibly the more popular choice in recent years.